Did you know that as citizens are becoming more environmentally aware, that Florence County was becoming one of the least clean areas in South Carolina? According to the County’s Environmental Services Department, 366,705 lbs. of trash was collected along County roads during 1999. In the community, children were not being taught the basic need for concern about the problem of trash and the concept of recycling. Florence County aspired to elevate the environmental awareness of its citizens and in 1999, initiated a “WAR ON TRASH” campaign to educate the public on recycling and litter prevention. A part of this campaign was to target children in the first through third grades throughout the County. Various programs were held to spread the word. The Florence County Library hosted a reading hour to teach children about the importance of not littering, with an emphasis on recycling. Library staff has since made the recycling reading hour an annual event for students. Tom Shearin, Recycling Coordinator, spends hours in the County school system teaching recycling through reading, thus promoting involvement in recycling and distributing promotional items generously provided by SCDHEC. In the fall of 1999, a County Mascot and a County Slogan were sought in a “WAR ON TRASH” Contest. Kelsea Rolland’s entry “Taylor Trashcan” was chosen overall winner and the County’s new “War on Trash” mascot is based on her charming character. Kelsea is the daughter of Mr. and Mrs. Vince Rolland of Florence and is in Florence School District 1. Other category winners were: Quintin Mack – Florence School District 2, Timothy Barr – Florence School District 3 and Christine Miles – Florence School District 4. Rachel Hunter’s entry “Defeat the Trash Army” was chosen overall winner and became the new slogan for the program. Rachel is the daughter of Jennifer and Frankie Hunter of Johnsonville and is in Florence School District 5. Other Category winners were: Celeste Marshall Kahn – Florence School District 1, Justin Holland – Florence School District 2, Timothy Barr – Florence School District 3 and Beatrice Toney – Florence School District 4. The years since 1999 have been a time of expansion. Other County departments have provided tools to aid the campaign, such as Florence County Parks & Recreation’s Litter Scavenger Hunt at Lynches River County Park. Students were introduced to sources of pollution and given instruction on recycling in an interesting hands-on program through use of the Park’s natural beauty. Environmental Services staff, using America Recycles Day events, have distributed information to adults and given sticker reminders (graciously provided by SCDHEC) to the children. The “B.O.B.” or Bottom of the Bottle Oil Recovery System helps drain oil bottles completely. Florence County established this SCDHEC sponsored program countywide in November of 1998 to assist residents in draining their motor oil containers. Provided free of charge by SCDHEC, this handy tool assists in draining oil bottles. Remember to take used oil to your nearest Florence County Recycling & Solid Waste Convenience Station. Pour the used oil into the GOFER tank. GOFER, “Give Oil for Energy Recovery” program is sponsored by Santee Cooper. Santee Cooper recovers this product to burn the used oil to generate electricity. One gallon of used oil can produce enough electricity to run the average household for 24 hours. Oil bottles are recyclable! The County established another helpful program in 2001. Each of the fourteen Manned Solid Waste sites is equipped with oil bottle draining racks. The racks, courtesy of SCDHEC, will be used to increase the amount of used oil collected and will aid in achieving cleaner plastic oil bottles for recycling. See your recycling station attendant for assistance. The County continues its quest to boost recycling and in 2002 expanded the “War on Trash” program. 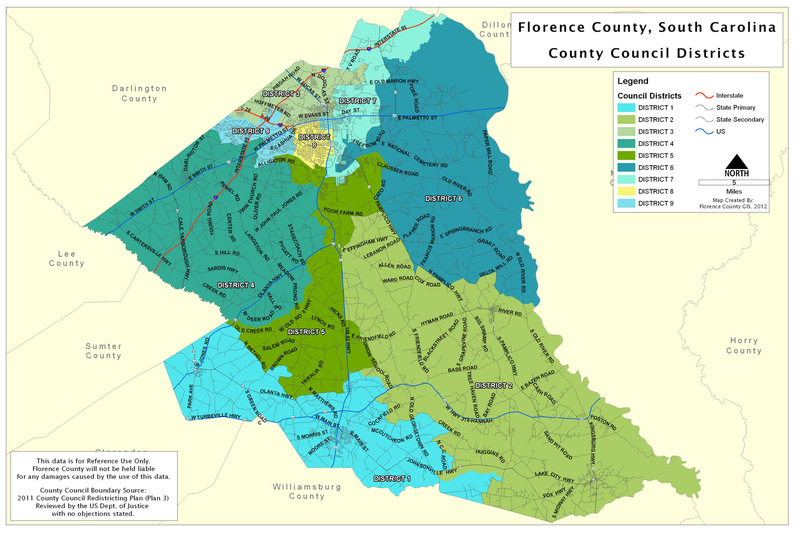 An offshoot of the program is the Florence County’s “Properly – Use It Waste Oil Project”. Using SCDHEC Used Oil grant funds in 2002, the County of Florence purchased a waste oil heater for the garage facility at Public Works in Effingham. This unit, along with another, will use collected waste oil from the garage to heat the approximately 14,000 square foot Central Maintenance facility. There is now a showcase for viewing the proper making use of an alternative energy source – waste oil. The County has an alternative reuse of a used product to save the environment. Another advantage of the program will be given in savings of tax dollars previously spent in payment of costly utility bills.